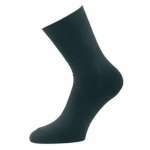 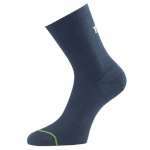 The 1000 Mile Liner Socks are lightweight double layer socks that can either be used on their own in the summer or under a pair of traditional walking socks to prevent blisters and to give extra insulation for winter walking. These liner socks are made from a unique double layer construction so that the inner layer stays with the foot while the outer layer moves with your shoe to massively reduce friction on the skin to help prevent blisters. They are made from a cotton nylon mix that will keep your feet cool and dry while you are enjoying exploring the great outdoors making these versatile liner socks a must for your sock drawer!